And finally is where we clean up the wearable tech rumour mill, bringing you fully up to speed with what's being reported by the tech press. It's a one-stop shop for some of the lesser stories of the week, that didn't make our dedicated wearable tech news page. The lead image of this story is a mock-up. As is the one above these words. 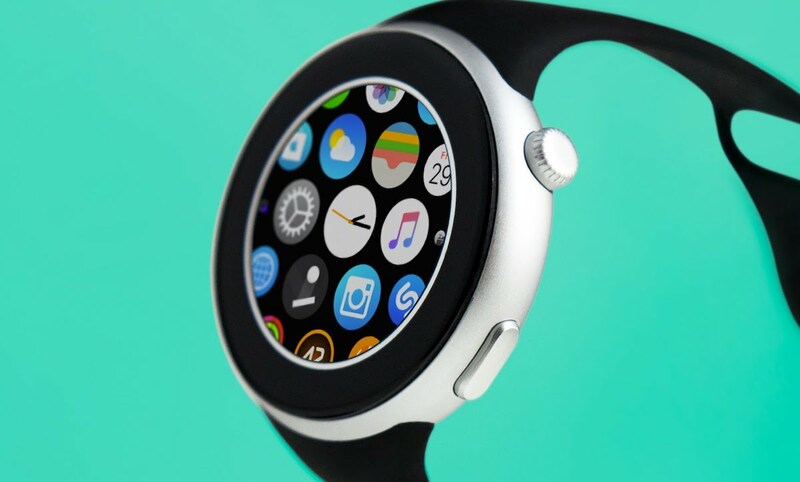 But we could soon be looking at a real-deal round Apple Watch. Apple is clearly thinking about it - a couple of patent filings have turned up this week detailing: "Electronic device having display with curved edges". We're pretty sure it won't be called that if becomes real. What we do know is that – according to Apple Insider, who discovered the documents – is that Apple was considering non-rectangular device displays as recently as January. Take a look at our just published Apple Watch Series 1 review for more Cupertino smartwatch coverage. Designed to work with the Hero 5 and the Hero Session, Remo is GoPro's latest remote control - only this time it lets you use your voice to control your camera. You'll be able to do things like starting and stopping recording, taking photo bursts, setting a highlight tag, shooting pictures, changing modes and switching the camera off. It works with 10 languages and can hear you in windy and noisy environments. Back in January, talking about the incredible story of the man who's prosthetic arm is gesture controlled by a Myo armband, Thalmic Labs CEO Stephen Lake said: "If Johnny's case shows it is possible to directly turn thoughts into actions, then the future of human-computer interaction can achieve a new reality." That future could come sooner than we thought. ZDNet has done a good job rounding up the rumours of a mysterious device – "a revolutionary new gesture control wearable tech product" – that Thalmic Labs is expected to launch soon. Neebo, a baby monitoring device from Czech Republic-based Daatrics, is now available to pre-order - with shipping expected early next year. The wearable tracks vital signs and sounds, looking for abnormalities. It monitors heart rate, oxygen intake, body temperature and syncs with a smartphone companion app as well as central device that can be placed in the baby or child's room. Early bird pricing is $200. Take a look at our feature on the best baby tech and connected baby monitors.